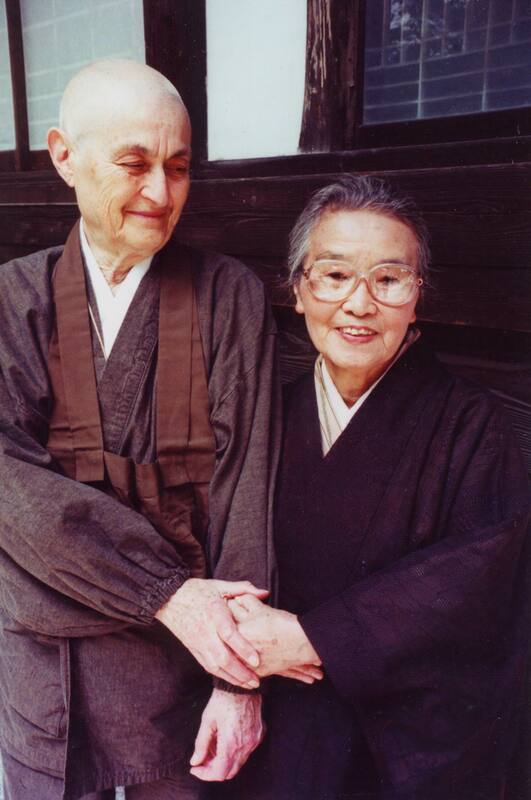 I just found this lovely photo of Blanche and Chitose-san (Hoitsu’s wife). I believe this was taken about 7 years ago when Kannon Do Zen Center had its official opening for the new temple, and Hoitsu-sama came as the most honored guest. This entry was posted in Memories, Photos and tagged Photos by Daigan Gaither. Bookmark the permalink. This is beautiful! Thank you, Blanche, and thank you Misha. muchlove.